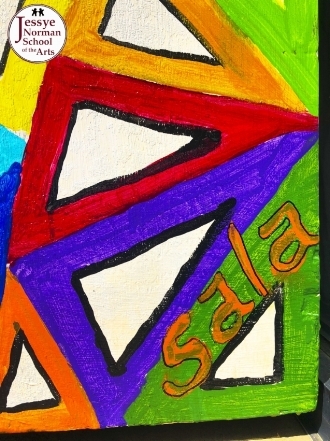 This is a very special project for us at the school. We have noticed that some other communities have different monuments to make them stand out and invite public attention. 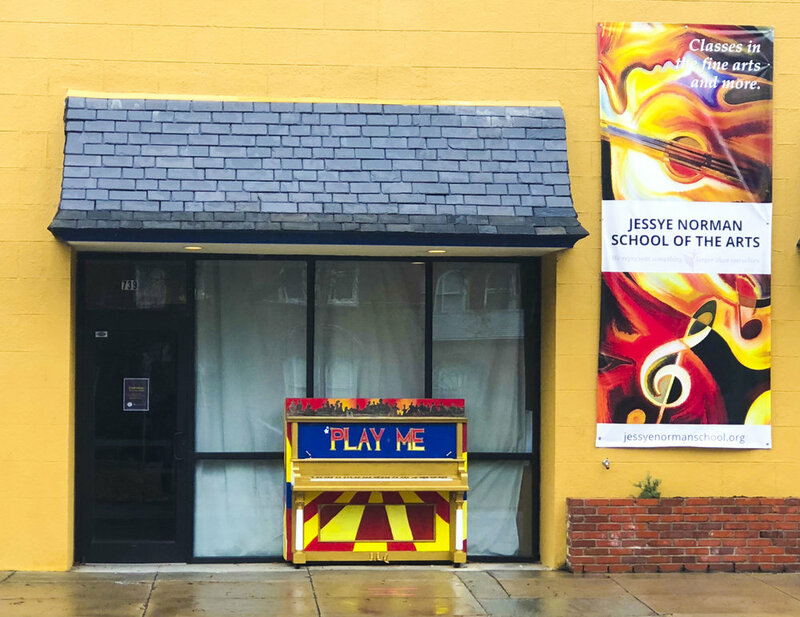 What better way to get more people involved in the arts than by placing colorful pianos around town. They will be playable, and we encourage everyone to come visit some of these and even take pictures with them! Most of all, enjoy the music! This is one of the many pianos designed by talented artists in our community. Ms Audrey "Sala Adenike" Jeter-Allen designed this piano for our school with no hesitation. The process was a very creative and challenging. We welcome the attractive splash of color it adds to our school.